Is buying travel insurance online a good idea? 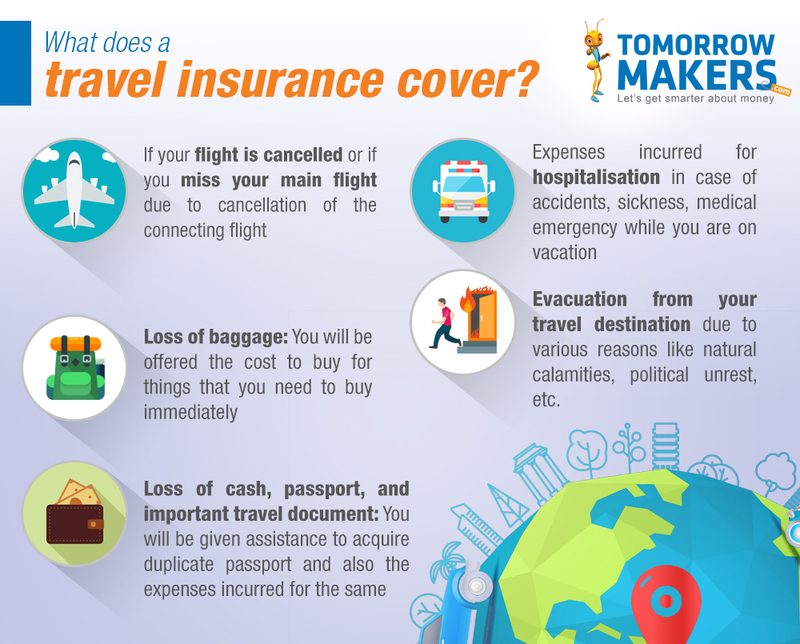 Travel Insurance is an important part of any travel. Insurance providers like ICICI Lombard, Tata Aig, and Bajaj Allianz, offer a multitude of benefits under a single policy. Many airlines include travel insurance as a part of their frequent flyer package. Most insurers offer cover for medical conditions as well as other emergencies including cancellations and loss of baggage. One question that plagues most travellers is whether it is advisable to buy travel insurance online. While the choice is entirely yours, there are some features that make online purchases a good choice. With online purchase, there is no need for an agent. Most insurers now provide all the necessary information you need on their websites, helping you make an informed choice without any influence. While agents visit you to explain the benefits of a policy, help fill out forms, and collect your cheque, they might blur certain facts to clinch a deal. This can result in problems when making claims. If you are unsure about how much insurance you need, an online calculator can help determine the ideal cover and premium amount to buy travel insurance. Additionally, if you have doubts or questions, you can always reach out to the help desk for more clarity. As you prepare for your trip, there are numerous things you will need to do, from shopping to locking up your home. With all that running around, you might have no time to physically visit an insurance provider, or even meet with one. On the other hand, when you buy travel insurance policy online, you can complete the process from just about anywhere. With technological advancements, filling out forms and making payments has never been easier. You can choose to have a digital copy of the policy delivered to your inbox, or a hard copy delivered to your home, whichever is more convenient for you. Usually, when you buy travel insurance policies online, they tend to be more reasonably priced as compared to policies purchased offline, due to the absence of intermediaries. This means premium amounts do not include agents’ commissions. Another factor is lower administrative cost – since you will be entering your information directly into the system – this also brings down the cost of your policy. No matter what mode of payment you choose, with an offline purchase, you will most likely have to fill out paper forms, which then have to be fed manually into the system to calculate the premium amount. The agent will then revert with the cost of insurance for your decision. You can easily avoid all this back and forth when you buy travel insurance online. You can also get the updated quotes that allow you to make an informed decision. Many websites offer a comparative study of the various travel insurance policies offered by the various players. You can view and compare premium and also extra assistance that is provided by different insurance companies. This study gives you an idea about which product best suits your needs and you can make an educated choice instead of groping in the dark. When you visit the insurer’s website – or even a website offering comparative study of products, – you can check out the review section where people who have purchased the products earlier post their opinions and experience. This will give you a better idea of which insurance policy to buy. In addition, there are plenty of online forums, which can give you further insight as to which company or product is best. Agents and brokers often portray the process to be lengthy, bothersome with promises to do the “running around.” However, when you buy travel insurance online, you can settle claims just as easily as offline. In fact, online settlement is far simpler not to mention faster. If a claim does get delayed, it is likely because of one of the clauses such as lock-in or an exemption under the policy. Travel insurance has remained under the radar mainly due to the inconvenience of purchase and lack of time on the part of travelers. It is, however, becoming a priority as more and more people travel longer distances more frequently. What You See Is What You Get. When you buy travel insurance online, there is complete transparency. You can read about the benefits under the policy and the terms, disclaimers, and so forth yourself. It is always a better idea to read the policy thoroughly and know the things which are not excluded. If you have understood the policy in and out, buying it online will be a cakewalk.